This retro style wraps supple leather completely around the foot with genuine moccasin construction. The cushioned inside lining, padded arch, and soft heel make for a plush feel with every wear. Heel Height: 1.00″ This item does not have a removable footbed. 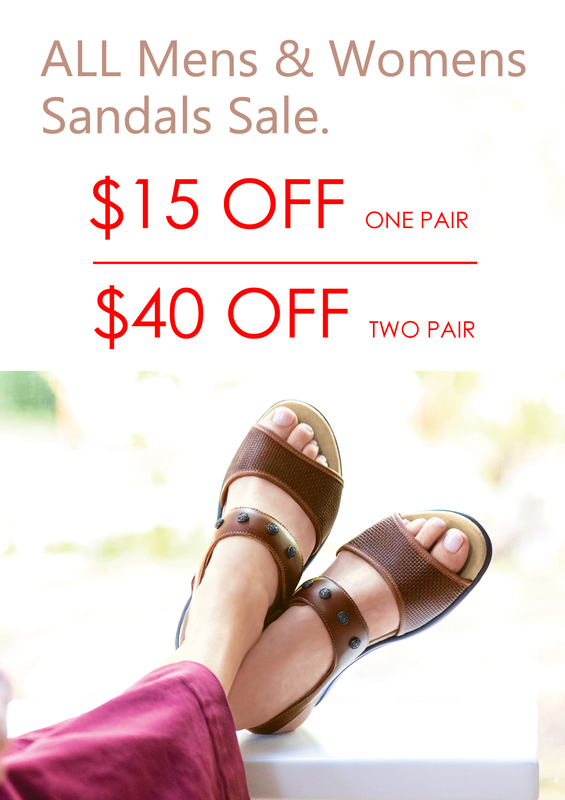 This slip-on sandal has a leather toe-loop and adjustable features including an elasticized buckle across the in-step. A contoured insole supports the natural arch of the foot. Fine leather straps wrap around the base with a hand-polished wood effect, giving this sandal a stylish flair. Heel Height: 1.25"